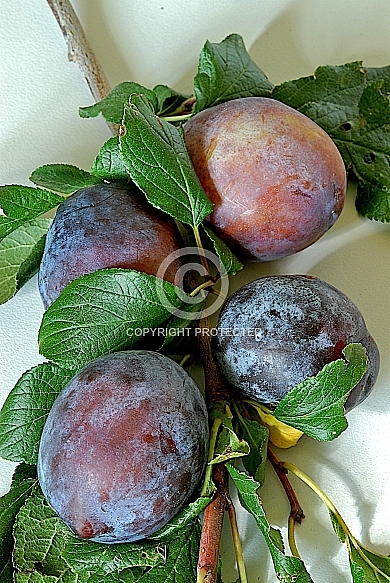 Description: A large-fruited plum with blue-red skin and yellow flesh. Late season cropping. Requires a pollinator such as 'Angelina Burdett' or 'Greengage'.